Here we have yet another successful Kickstarter campaign for an automated brewing machine. Don’t get me wrong, competition within an industry is healthy and a strong sign of growth. However, maybe I have a bad taste in my mouth from other “successful” crowdfunded products that have yet to see the light of day – after all, iGulu funded over $1M on IndieGoGo back in 2016 and is still plagued with setbacks. With that said, I can’t stress enough how hopeful I am that this newbie hits the shelves. 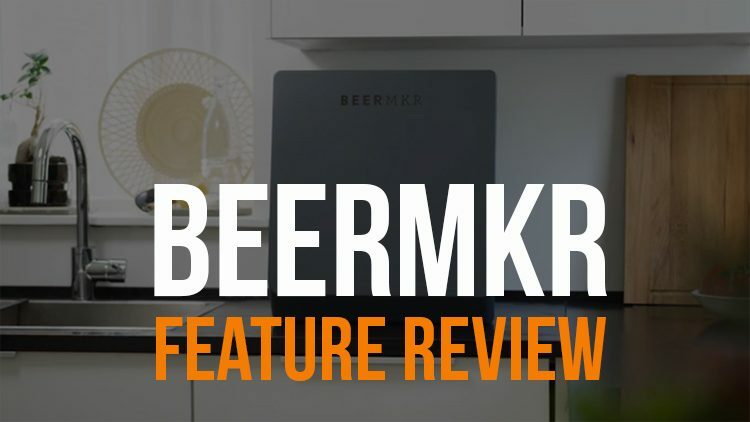 Introducing BEERMKR… a fully automated beer brewing machine that handles both brewing and fermenting. There’s quite a few aspects to BEERMKR that make it unique in the world of automated beer brewing appliances. 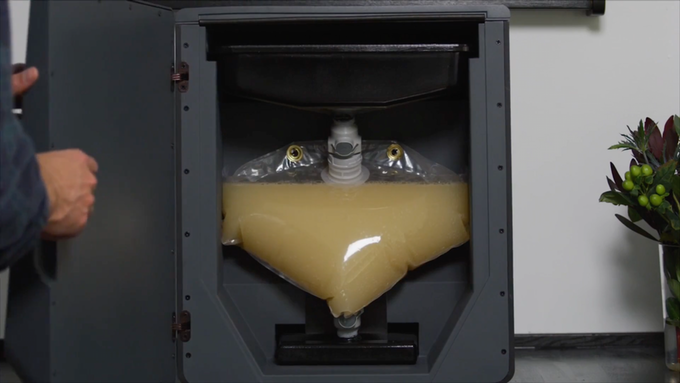 The first being the size: BEERMKR can only brew 1 gallon of beer at a time. It’s more of a countertop appliance than a “scalable” brewing machine such as Brewie or the more expensive Pico Z lineup. But I think that’s what founder Aaron Walls was after – making a truly automatic beer brewing machine for beer lovers who don’t want to get their hands too dirty. Don’t let me scare you away by saying this is the next Keurig – it’s not THAT simple – and it has a few really unique features. Let’s be honest… the worst part about brewing beer is the cleaning and sanitizing before and after each brew. BEERMKR eliminated that chore by using recyclable pouches to start each brew with a sanitized environment. But wait there’s more! It’s also connected to wifi, has a CO2 monitoring system, and a fermentation temperature control system. Perhaps the biggest downfall of the mainstream Pico machines is their inability to customize ingredients and create your own recipes (they did just announce a custom “PicoPak” that will enable this functionality, however we have yet to hear back from them about obtaining one to review). BEERMKR will sell MKR KIT recipes on their app for $1 per 12oz beer, but the open system allows you to completely customize these with your own spices, herbs, or hops. BEERMKR is designed to take you from point A (beerless) to point B (having beer) as quick as possible. To start a brew, it’s really as simple as adding the ingredients to the brewing chamber, filling the machine with water, and hitting start. Everything is automated except pitching the yeast and dry hopping (if necessary), but your phone gets an alert when it’s time to do these. Over the course of a week, BEERMKR automatically maintains proper temperature for fermentation until it’s time to drink beer. BEERMKR is created by BrewJacket LLC, a real company who currently manufactures fermentation temperature controllers. This alone gives us higher hopes that the company will successfully ship BEERMKR to consumers. However, from their updates on Kickstarter, I see pretty much no chance that they hit their target of shipping units by Spring (I hope I’m wrong). The product itself seems to hit a lot of missed opportunities from other companies by focusing on the general beer loving public – those who may not have experience in brewing or might find it intimidating to start. The simplicity of brews, small batch sizes, and low cost all hit this mark. 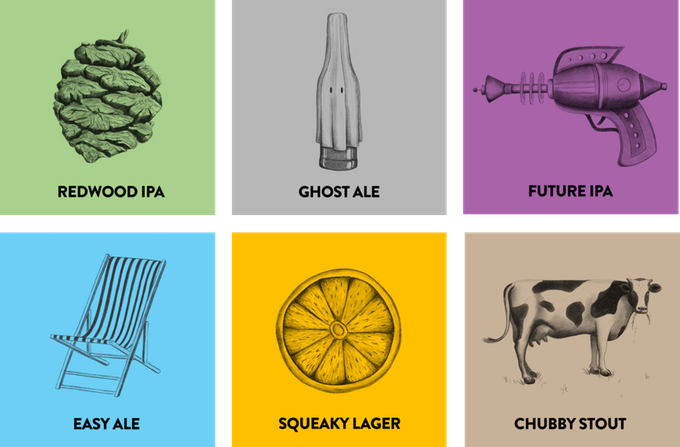 While on the other hand, recipe customizations still add some creativity to those already with brewing experience.